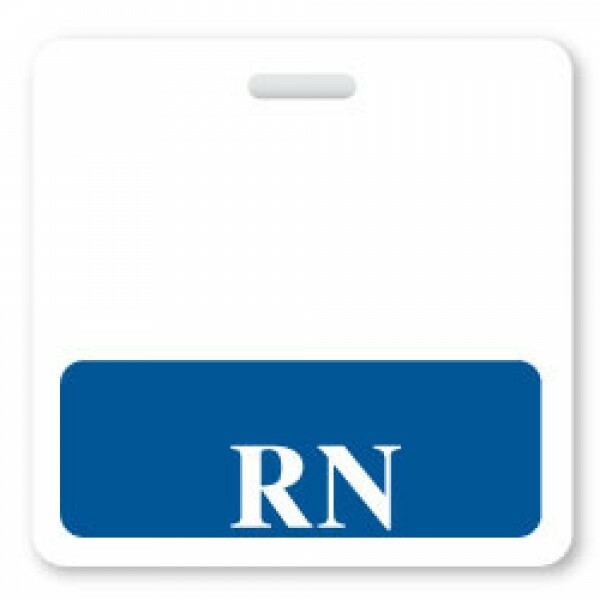 RN Badge Buddy | Blue Band | Ships Same Day From IDCardSupply! Help your patients recognize the important role that you have in caring for them as an RN with the RN Badge Buddy. The horizontal badge can be placed directly behind your hospital ID card and clipped onto your lanyard or badge reel. It couldn't be easier or more professional! The badge is made from Teslin paper, the most durable card material available. The badge is made of a 20 mil polyester/polyethylene laminate with a 10 mil Teslin card. Dimensions are 3 3/32" x 3 3/8".